The Heavenly Banquet: Watch Your Language, Augustine! The following is another reflection from David Roquemore born from his reading of Book II of Confessions. It just seems like Augustine overdoes it. His language is overblown; from Book II, chapter 2, “ the mists of passion steamed up out of the puddly concupiscence of the flesh, and the hot imagination of puberty, and they so obscured and overcast my heart that I was unable to distinguish pure affection from unholy desire.” (Outler translation at CCEL.org) I find myself wondering if this is simply his training in rhetoric, the style of the time, or something else. (Serene Jones’ Calvin and the Rhetoric of Piety is wonderful in unpacking the beginning of the Institutes. I wonder if anyone has done similar rhetorical criticism of Augustine?) If this is not mere rhetoric, why does he go so far to make his point, and that over and over? He opens the book saying that this recital of his sinfulness will help him love God more. He understands himself to be a sinner, and God to be utterly without sin, and so the contrast is there. But does he make his point too much? Certainly in our day, we might say we are sinners without this emphasis. Does anyone else feel as though he doth protest too much? What do you think? Is Augustine's language overblown? I'll offer a few initial thoughts to move our conversation. Regarding the use of rhetoric, Augustine is obviously a master wordsmith who does not shy from employing his training. We will see, however, that he has little praise for rhetoric as an art in itself. 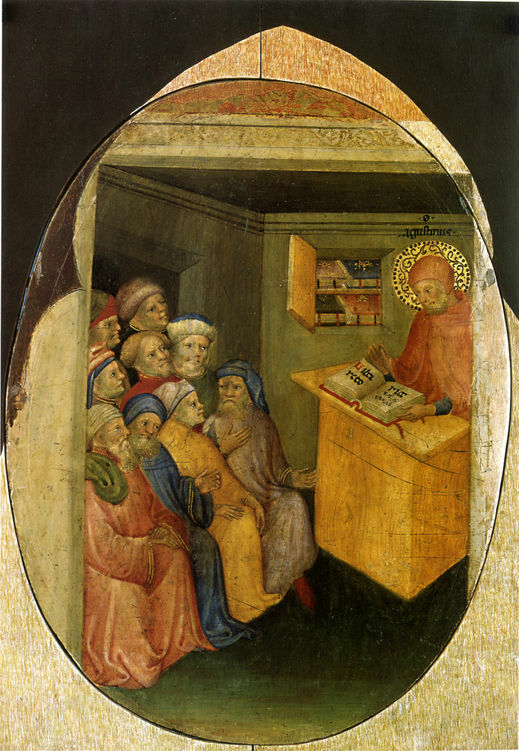 After his conversion, Augustine steps down from his post as a teacher of rhetoric. He then uses this opportunity to express disdain for the subject since he understands it to be most useful for persuading people to believe in that which they ought not to believe. This leads me to think that when Augustine employs rhetorical flourish that he only does so to ornament that which he is absolutely convinced to be true. In other words, that which strikes us as "too much" is probably something that Augustine can't stress enough. Let's keep an eye on this. Personally, I find Augustine's style attractive because it strikes me as being shaped by the language of psalmody and the liturgy. When he writes about his own sin, Augustine's voice seems wrapped in Psalm 51 and the Confiteor. Additionally, the section that you note strikes me as being full of imagery from the creation story. Augustine describes himself as drowning in a muddy whirlpool of sins. He is trapped in this formless chaos while the cloud of God's Word hovers above him on the very brink of shaping him into a new creation. I love that! Watch for ways in which Augustine describes his conversion in terms of the Genesis narrative. We'll see those images highlighted in the final chapters of Confessions. Finally, I understand my own sinfulness in contrast to God's holiness, so I'm not sure how to address the last claim here that "we might say we are sinners without this emphasis." I'll leave that to our other readers. Many thanks for sharing your thoughts, David!